Bank of America and Christopher Guest would like to remind you ad people that there is, in fact, such a thing as a bad idea. 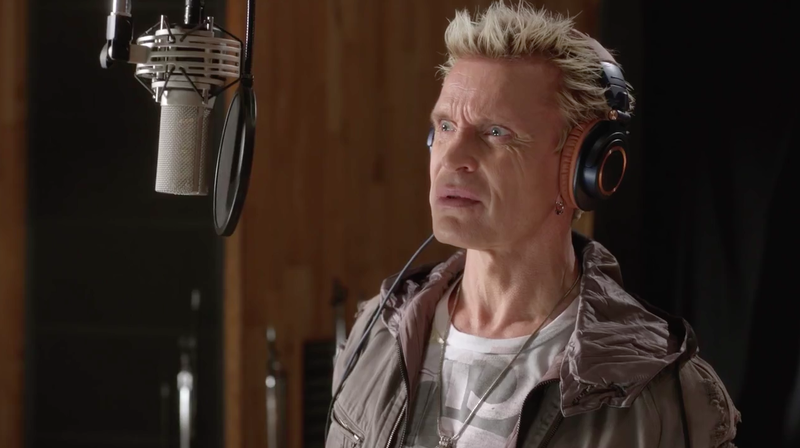 And the argument, which doesn't need much help to start with, gets an assist from none other than Billy Idol in a new campaign from Hill Holliday. Five spots feature three Bank of America execs in a conference room, brainstorming ways to promote the company's "preferred rewards" for consumers. It's precisely the kind of idiocy that gets funnier as it goes along, reaching a high point as the marketing drones debate the wisdom of handing out free shrimp to customers. The campaign—four of the seven spots, including both Idol executions, will run on TV—is the latest addition to a growing pool of ads that mock the process of making ads, often with the help of celebrity endorsers. (Director Randy Krallman has excelled in the genre, shooting Ewen McGregor for BT, and more famously, Anna Kendrick for Newcastle.) That device, as with most navel-gazing, risks getting old quickly. But Guest—who also recently revived the spirit of his classic film Best in Show in a spate of ads for PetSmart—brings his own offbeat, deadpan flavor to the mission. In fact, it manages to stay charmingly subversive. If these are the people running the show at Bank of America, it almost calls into question whether the brand—or anyone—should be bothering with marketing at all. See, it doesn't even make sense that Idol would balk at repeating the word "more" only 25 times. In the original song, he does it at least twice that. Then again, he does, presumably, breathe in between. Production Company: GO, Hollywood, Calif. Licensed Music: Artist/Title: Billy Idol "Rebel Yell"